To be the membershipvace for information relating to the chapter. Ensure the MVHRA website is meeting the needs of our membership, helping us grow as an organization and providing substantive information which allows the membership to get the most out of their MVHRA membership. • Prioritize technology requests and supervise completion of those requests, including proofing material for accuracy. • Procure and maintain relationship between the chapter and third party web administrator. 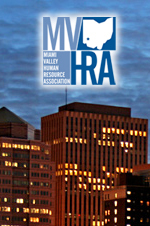 • Coordinate all questions regarding the MVHRA website. • Test and monitor web site to ensure functionality and accuracy. • Coordinate technology needs with our social media champions.